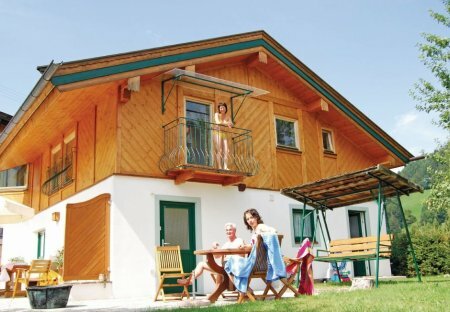 Rent villas and apartments in Kitzbühel District, Austria with swimming pools. Book affordable holiday rentals that are near a golf course. Westendorf in Tyrol, found in the heart of the Kitzbühel Alps has been voted, in 1998, as the most beautiful blooming and verdant village in Europe. We offer you a small pearl here. This holiday apartment is on the ground floor of a large home. The apartment is well furnished and has a beautiful garden, where you can comfortably spend leisure time together with loved ones. 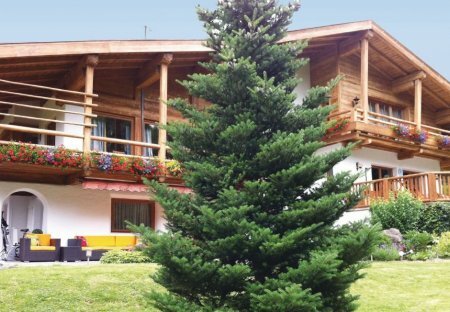 This comfortably furnished holiday home located on the outskirts of Brixen provides a magnificent view of the mountains. A huge, shared garden with play equipment is available on the property. The apartments (ATI587, 588, 594 and 617) situated in Café Heim located in the centre of Kirchberg are pleasant and brightly furnished and all have a balcony. The shared in-house wellness area. The apartments (ATI587, ATI588, ATI594 and ATI617) situated in Café Heim located in the centre of Kirchberg are pleasant and brightly furnished and all apartments have a balcony. This charming holiday home is in the popular holiday village called Westerndorf in sunny Brixental, 10 km west of Kirchberg and 30 km south of Kufstein. Take a hike in the Kitzbüheler Alps. The apartment complex called Rösslwitin is located in the centre of Kirchberg in Tyrol. All the apartments (ATI894-896) are comfortably furnished and have all the amenities. This comfortable and well-equipped apartment is located in the most beautiful Brixen Valley in Tyrol. From here you have a wonderful view of the Tyrolean Mountains and the surrounding landscape. This is a modern furnished holiday apartment located on the top floor with a balcony. It is just 6 km from Kitzbühel and 10 km from the Schwarz Sea. This 3-bedroom villa for up to 6 guests is located in Sankt Johann and has a private swimming pool and.